The problem with living in Ireland is the confusion with identity. 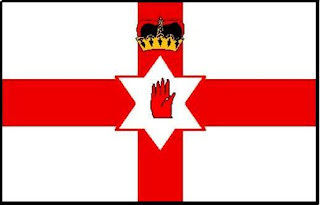 This flag represents Northern Ireland, sometimes called the Ulster Flag, but ignores the reality that Ulster is a province of all-Ireland and has 3 counties in the republic. The province of Ulster is represented by the 1st flag. I feel that Northern Ireland is an anachronism, I don't feel comfortable with saying I come from here. 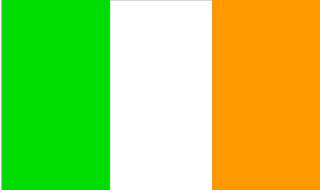 I generally say I am from Ireland. These flags represent our continued polarisation. Loyality being split between the two. O'Casey once described Ireland as "the place that keeps my feet from being wet by the sea", yet generations have fought and died to keep it theirs. Its history is complex. Flags mean a lot, and I can't figure out where I fit in. I really struggle with my confusion. I am disinterested in jaffa culture.......its just mind-bending.